In Oklahoma, the Department of Wildlife Conservation employs game wardens at the state level. The state is one of the most ecologically diverse in the country with more than 760 different species of wildlife. Hunting and fishing are so popular in Oklahoma that sportsmen are allowed to enjoy more than 1.6 million acres of wilderness area. Oklahoma’s game wardens are trained law enforcement officers who also serve as stewards of the state’s natural resources. They help biologists perform tasks like assessing the status of fish populations in a particular lake, which helps anglers decide where to fish. Another aspect of their jobs involves helping the public. This service ranges from speaking to schools and scout groups to helping teach gun safety and hunter education courses. With such an array of skills required, Oklahoma’s game wardens must be experts in a variety of areas. The state sets the bar high for game wardens, since they are in the public eye and the face of the Department of Wildlife Conservation. Therefore, becoming a game warden in Oklahoma is a challenging endeavor. Applicants who are highly familiar with the selection criteria and the application process will be best prepared for success. The ideal game warden job candidate in Oklahoma combines expertise in law enforcement with a love of the natural environment and the great outdoors. In addition to protecting the diverse array of fish, birds, and game that call Oklahoma home, the state’s game wardens may be called upon to enforce any law within state jurisdiction. Oklahoma’s game wardens also work in partnership with federal law enforcement and other state agencies. The website of the Oklahoma Department of Wildlife Conservation lists additional information along with job postings. 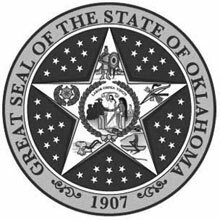 Citizenship: Proof of U.S. citizenship or of permanent resident alien status; must be a citizen at time of appointment and a resident of Oklahoma. License: A valid Oklahoma-issued driver’s license is required. Individuals must maintain an acceptable driving record. Academic Credentials: High school diploma or GED is required; while a bachelor’s degree in wildlife management or natural resources management is preferred, candidates should have at least 16 hours of courses related to this field in order to be considered. Standardized employment exam for prospective game wardens. Six months of on the job training in groups and partnered with senior officers. Hearing: The applicant must have good hearing that is adequate to perform all the essential duties and functions of a Warden while unaided and which includes discerning sounds in an environment of ambient noise. Vision: Visual acuity of 20/20 either corrected or uncorrected. Normal binocular color vision with standard peripheral vision. Applicants who have undergone corrective eye surgery to meet minimum visual standards may be required to submit additional information. Physical Readiness: The applicant must be in sound physical condition and able to swim. Applicants must successfully complete every component of the physical readiness testing in the allotted timeframe. The Oklahoma Employment Security Commission reported that environmental investigators earned an average salary of $51,770 ($24.89/hour) as of 2015. Experienced investigators earned within the top 25%, making an average of $58,594 ($28.17/hour), while their less experienced colleagues in the lower 25% earned an average of $43,867 ($21.09/hour) that year.